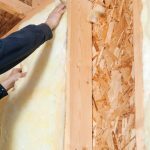 Issues to Address Before Adding New Home Insulation | DR Foam Insulation Services Ltd. Issues to Address Before Adding New Home Insulation | DR Foam Insulation Services Ltd. Mold and mildew—There could be mold and mildew lurking in your walls, and you may not even know it. Before adding more home insulation to your property, have the installation area inspected for mold. If it exists, make sure you have it professionally removed to keep it from spreading. Unwelcome pests—Particularly in older homes with older insulation, unwanted pests like to make their home in wall cavities, underneath the crawlspace, and in the attic. Take care of any infestations or pests that have made a home for themselves in your current insulation. Wet walls—Wet walls, particularly in your basement, could be the result of a foundation problem or leaking. Find out why your walls have moisture problems before you put in new insulation, so the insulation doesn’t get wet, too. Water on the floors—When you walk down into your basement or another part of your home, do you find puddles of water? If so, you need to track down the source of this moisture and eliminate it before you put in new insulation.